This sweet little girl showed up at the home of one of our clients. When she came in for veterinary care and an adoption assessment we all fell in love! Dinah is about one and a half years old. 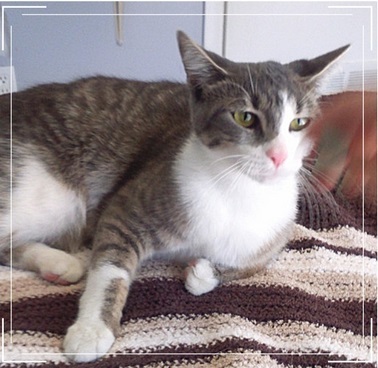 She is an outgoing and sociable little girl who seems to adjust easily to any situation. She is both Feline Leukemia and Feline Immunodeficiency Virus negative and is all up to date on her vaccines and parasite control. If you think she might be the cat for you please give us a call. 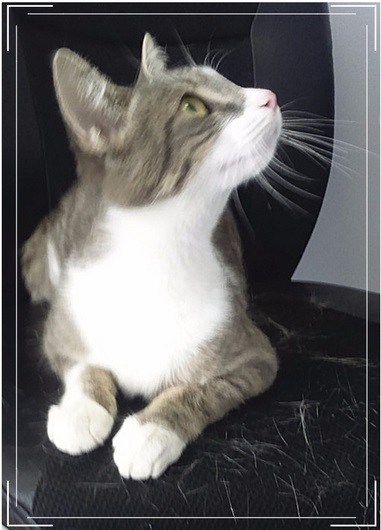 she is beautiful, I am in the Ancaster area and am looking to adopt a cat. Have always had and loved cats and am looking for a companion. Can you explain the leukemia and immunodeficiency virus. what would be my responsibility as the owner.